Bishop Michael and Father Faiz with dignitaries at the official opening of the new Anglican School of the Redeemer – al-Fadi – in Baghdad. 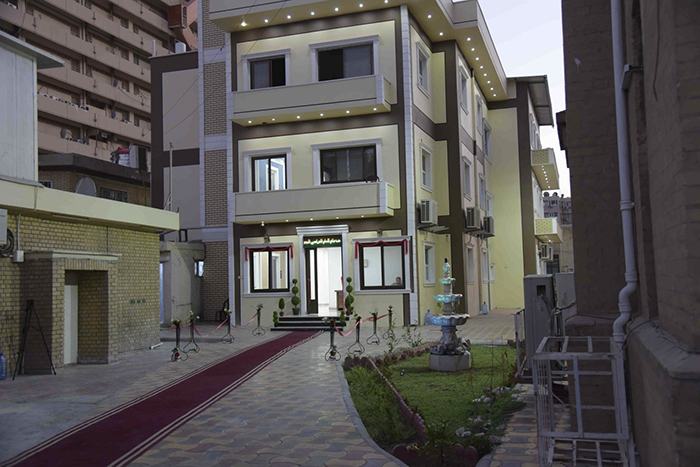 The head of the Chaldean Catholic Church, Cardinal-Patriarch Louis-Raphael I Sako, Patriarch of Babylon, joined other ecumenical guests and VIPs at the official opening of a new Anglican school in Baghdad. The Anglican School of the Redeemer – al-Fadi – was officially opened on Saturday (29 September) by the Bishop of Cyprus and the Gulf, Michael Lewis. The bishop also opened a newly re-sited and refurbished Hope Resource Centre. The new school will enable St George’s Church in Baghdad to offer primary-level education to children after they have completed their time at the existing Redeemer Kindergarten. It has been planned for a number of years. Like the Kindergarten, the Primary School will serve all the local community. Some 90 per cent of the Kindergarten’s 150 children are from Muslim families. 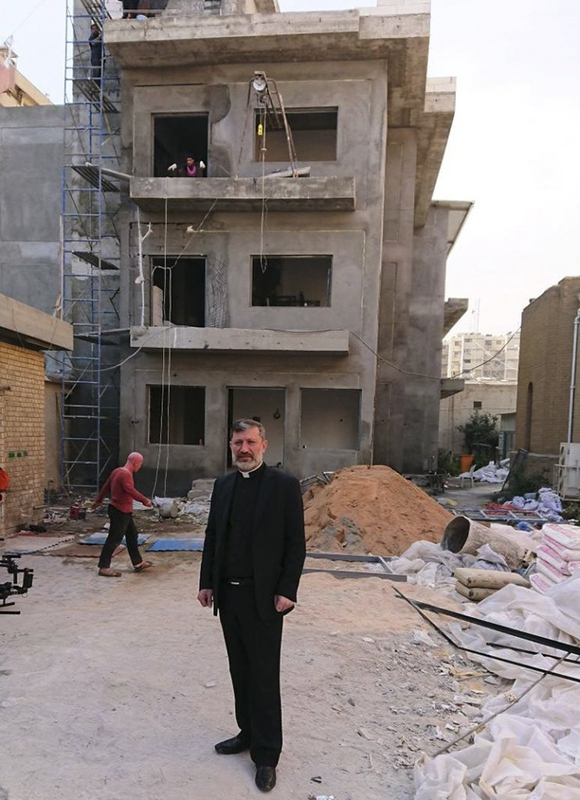 “The parents greatly value the safe environment of learning, the subjects offered in the school, including simple things of behaviour and values”, the Anglican Chaplain in Baghdad, Father Faiz Jerjees, said in February 2017. St George’s is the only Anglican church in Iraq. In addition to the kindergarten and school, the church runs a health clinic for its local community. Before and after: The photo above shows Father Faiz Jerjees outside the Anglican School of the Reseemer – al-Fadi – during construction; while the photo below shows the completed building.